Accident investigations are critical in identifying, controlling and eliminating workplace health and safety risks. Accident investigations are critical in identifying, controlling and eliminating workplace health and safety risks. For an accident investigation to be effective it needs to be structured and systematic. It also needs to be performed by trained and competent employees who can maintain an ‘open mind’ (about the causes of an accident) throughout the investigation. These are fundamental requirements of an accident investigation and they are the primary focus of this training course. The aim of this training course is to enable the trainees to perform efficient and effective accident investigations in the workplace. This first session clearly explains the aim of the course and gives an overview of all the main points that will be covered in the course. This session looks at the definition of the words ‘accident’ and ‘incident’ and explains why it is important we understand the difference between these two terms. There is also an exercise called ‘My Beliefs about Accident Causes’. This exercise helps the participants to recognise the biases they bring to an accident investigation and how these biases can influence the outcomes of an investigation. This session concludes with a look at some common examples of accident causes and contributory factors. why should accidents be investigated? which accidents must be investigated? when should you start conducting an accident investigation? who should perform the investigation? where should the investigation be conducted? This session looks at how to do an accident investigation. It covers each step in detail and ensures that the participants are clear about all the requirements that are described in this process. This session also has an exercise called ‘Buried Alive’. The exercise highlights how people readily make assumptions and emphasises that assumptions should not be stated as facts during an accident investigation. This session involves the participants in a practical accident investigation. The participants are required to visit a simulated accident scene and efficiently and effectively investigate an accident. This exercise enables the participants to put into practice everything they have learned during the course. This session also contains an exercise called ‘Look Carefully at the Facts’. This exercise acts as a quick and meaningful demonstration that shows the eyes see information, but it is the mind that evaluates information. The exercise focuses the participants on the importance of correctly analysing the accident data and the pitfalls of jumping to conclusions. This final session of the course provides feedback to the participants on how they performed during the practical exercise. The course concludes with the participants being involved in a formal course review. This training course also contains a comprehensive set of handouts. 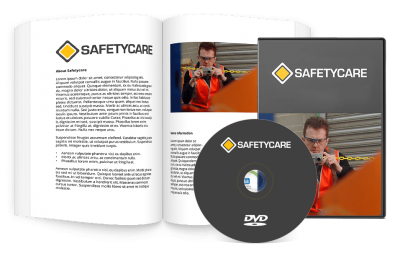 If you follow the principles and practices contained within this course, your organisation will conduct quality accident investigations which will help prevent accidents from recurring.